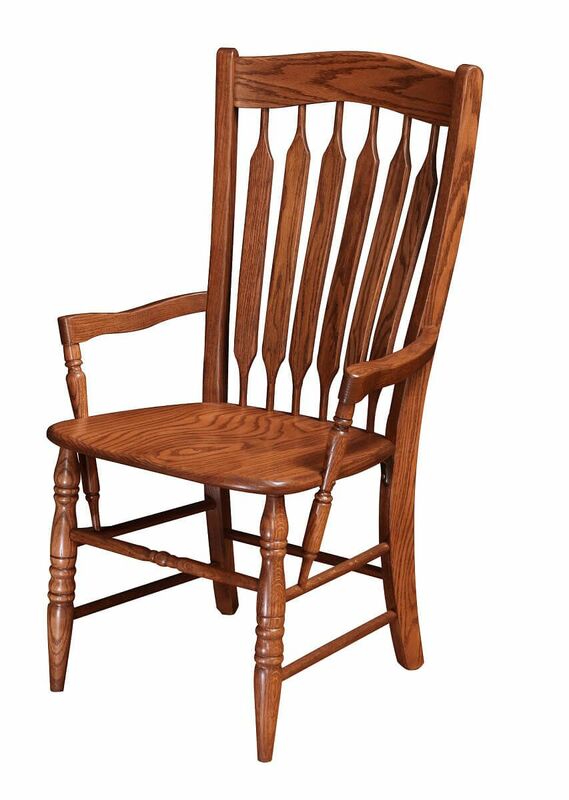 Our Heywood Paddle Back Dining Chair combines classic features like a paddle back, turned legs, and base stretchers in the domestic hardwood you pick. For a lighter, yet still ornate dining look, your Heywood Paddle Back Dining Chair is the perfect companion to your Traditional dining room table. 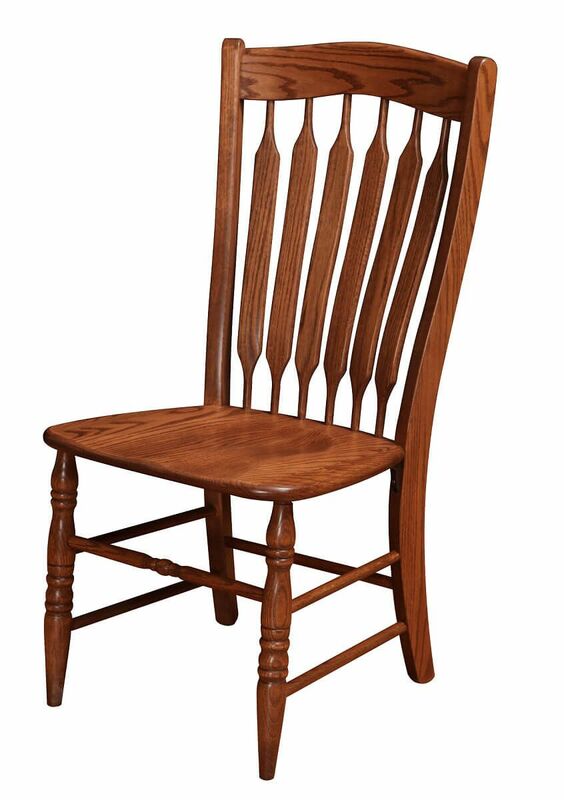 Using the best and strongest solid woods, our Amish craftsmen have designed this handcrafted chair with your comfort in mind. Each chair is glued, clamped, and screwed together by hand, allowing individual inspection for quality and details many times over. A professional hand staining and finish is applied as a final step, to customize and beautify your dining chair to be enjoyed for many years to come. 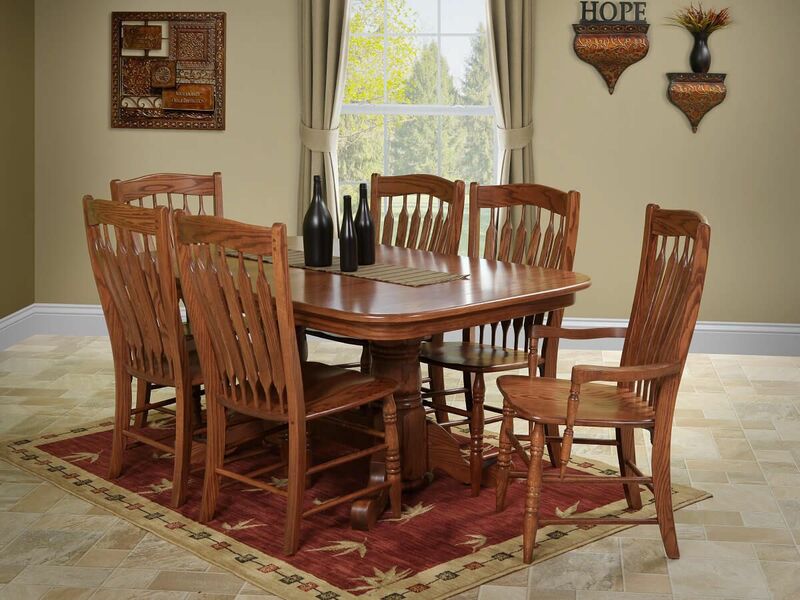 Place your Heywood Paddle Back Dining Chairs in your online shopping cart today.